Forget the result. 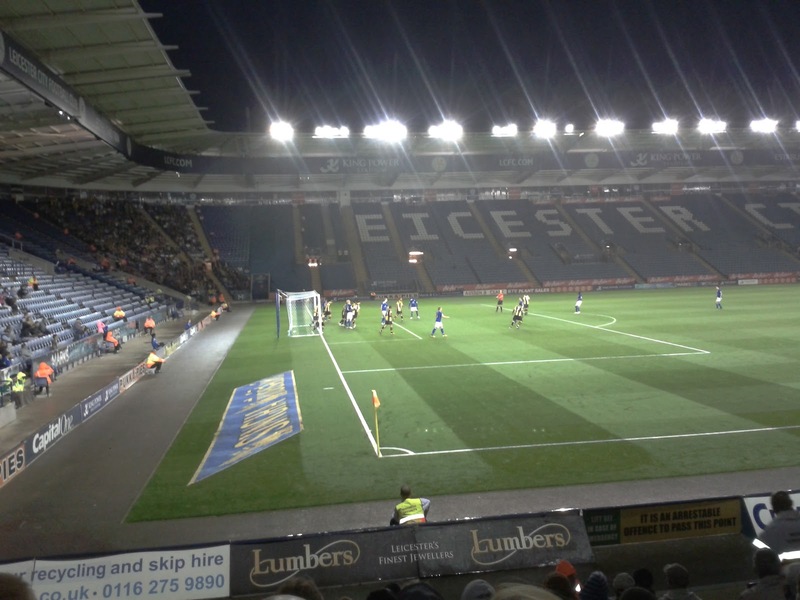 This was not the worst Leicester City performance of this season, let alone in history. 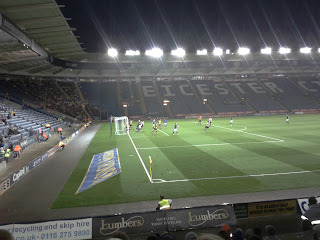 Particularly in the first half, the Foxes created chances, applied pressure and chased the game. Last season would have been very different and seen City give-up the chase far earlier. Only after a dubious penalty saw City fall two goals behind for the second time did Nigel Pearson's side lose heart against the Brewers. Anthony Knockaert's superb free-kick was greeted with jubilation - at 1-2 down City had hope - meanwhile Marko Futacs' late volley was greeted as a mere consolation. This was a truly bizarre game but unfortunately the home side were soundly beaten. The experiment nonetheless failed. Pearson made eight changes to include two full debutants and two players yet to return to full match fitness. Whilst Sean St Ledger, returning from a knee injury, was unspectacular and lacked the finesse of a fully-fit Irish international, Zak Whitbread was simply awful. Knockaert, meanwhile, was a revelation. Ultimately football is based on goals, however and not on subjective analyses of performance: Burton scored more. Pearson's eight changes was too much tinkering for his squad to handle. The clock is ticking. Pearson's interview after the game reeked of a man desperate to appease the fans but it cannot be denied that, despite the over-pessimistic outlook of many, the more articulate callers to Messrs Stringer and Young do have a point, in that Pearson's time is running out. A string of three defeats is enough to raise concerns over any manager's regime but with a club owned by people as trigger-happy as the Thais... Leicester urgently need a win against Blackpool at the weekend or the chants of 'Pearson Out' could be swiftly answered. The French starlet has shown fleeting glimpses of skill and ability in his pre-season and substitute appearances but tonight demonstrated that he could be Steve Walsh's find of the summer. His finesse on the ball is second to none and, unlike most of the Foxes' squad he is more than capable of beating his marker. Moreover, Knockaert has the ability to deliver a cross (with both feet!) and has a deadly free-kick gloriously demonstrated tonight. There is more to come from the 20-year-old and that is a very exciting thought indeed. In a bright start to his Leicester career, Futacs caused issues for the Brewers thanks to his height whilst his polished finish to earn City a late, late chance of redemption was taken with aplomb. Having not appeared - and in Jamie Vardy's case not selected - City's two main strikers will be thrilled to see their names disassociated with a performance where, once again, missed opportunities were key to the Foxes' undoing. Expect both to start against Blackpool. The Burton Albion goalkeeper put in a tremendous shift to help his side to a half-time lead and deserves recognition for his efforts. He was only beaten by two sublime finishes and was not undone by a disorganised defence. A weak performance by St Ledger's standards, the Irish international will not be challenging Liam Moore and Wes Morgan's growing defensive partnership in the immediate future. St Ledger does have the excuse of a lack of match fitness on his side, but he must shoulder some of the blame for leaking four goals against a League Two side. Despite his passion, enthusiasm and die-hard attitude, Schmeichel cannot deny the blame for Jacques Maghoma's admittedly stunning 35-yard fourth goal. Off his line, the Dane should have done better to stop the looping cross-come-shot. Moreover, Schmeichel took the captain's armband against the Brewers, the second time he has done so for Leicester and the second time City have lost with him as skipper. Weak. Inept. Poor. Rubbish. Lacklustre. Diabolical. Naive. Wrong-footed. A highly disappointing performance from a former Premier League star.